In the first of a three part series on social investing, Kyrn Stevens looks at the state of play. Social investing through concepts such as impact investing, social impact bonds and shared value are transforming how social issues are being tackled. In Australia, HESTA, Christian Super and QBE Insurance have established impact investment funds, big banks are backing social impact bonds and other investments, and health insurers are embracing shared value approaches. A global ecosystem of intermediaries and sectoral organisations has emerged. While estimates of the size of the market vary, the growth of the sector has been rapid since the term “impact investing” was first coined by the Rockefeller Foundation in 2007 and the first Social Impact Bond (SIB) was launched in the UK in 2010. Some 208 respondents to the Global Impact Investing Network’s Seventh Annual Impact Investor Survey in 2017 manage US$114 billion (A$151 billion) in impact investing assets, with 41 per cent primarily targeting social impact objectives. Recent market sizing by the Global Social Impact Investment Steering Group (GSG) indicates that there was 29 per cent compound annual growth in impact investment assets under management from 2010-2015 and US$138 billion (A$182 billion) in assets under management by the end of 2015. 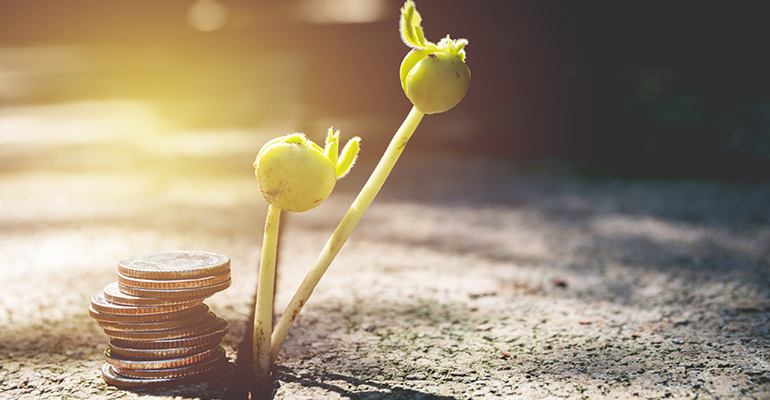 According to Impact Investing Australia’s December 2017 pre-budget submission, one UK wholesaler Big Society Capital has unlocked GBP£1 billion (A$1.7 billion) of capital for impact investing over the last five years. The GSG has set a target of over US$300 billion (A$397 billion) in impact investments actively targeting new solutions by 2020. Academic and other researchers expect the market to reach between US$400 billion (A$530 billion) and US$1 trillion (A$1.3 trillion) by 2025. A 2016 report by Impact Investing Australia (IIA) estimated that the value of the Australian impact investment market could be $32 billion by 2023, with private equity, venture capital, and pay for performance instruments the most frequent vehicles used by investors. While investments in Australia are relatively modest, Richard Brandweiner of IIA’s Benchmarking Data Working Group said in 2016 that despite this, “over 60,000 vulnerable Australians have benefited from the capital that was deployed”. Australia has punched above its weight internationally as the only country outside of the G8 to participate in the Social Impact Investment Taskforce established by the G8 in 2013, and it continues to hold a seat on the 17-country GSG which succeeded the G8 group in 2015. The responsible investing movement is expanding from an early focus on investments that minimise negative impacts through environment, sustainability and governance considerations (eg: climate change, human rights and tax avoidance), towards impact investing that creates positive social and environment outcomes. For example, the Responsible Investment Association of Australia’s Impact Investment Forum, launched in May 2017, is a new platform for members and other stakeholders to come together in the interests of building a strong impact investment market in and integrating impact across investment portfolios. The United Nations Principles for Responsible Investment’s (PRI) will soon be releasing an Impact Investing Market Map to “bring more clarity to the process of identifying impact investing companies and thematic investments so that asset owners and fund managers can better assess opportunities in this market”. The PRI’s impact investing team has over two years studied and reviewed more than 450 reports from UN agencies, market leaders, universities, indices and data providers. A 2015 review of the first five years of social impact bonds (SIBs), where governments repay investors from money saved by achieving social outcomes, by Washington think tank Brookings Institute found 44 of the “bonds” had been issued in advanced economies. Reviews only one year later found there were between around 100 to 120 bonds being implemented or designed, with the majority invested in emerging economies where they are known as development bonds. A database released early this year by UK not for profit Social Finance found that there were 108 SIBs globally that had raised nearly US$400 million (A$530 million) and touched nearly 750,000 lives in areas such as workforce development, health, housing and homelessness, child and family welfare, criminal justice and education and early years. The Brookings review found the bonds typically raising between US$2 million (A$2.6million) to US$5 million (A$6.6 million), with one raising US$24 million (A$31 million). Globally, returns on social impact bonds have ranged from 3 to 7.5 per cent, with most being around 5 per cent. Payments are often tiered and based on different levels of outcomes over differing time periods, with payments increasing over time and increasing results. Beneficiaries range from 22 children and their mothers in Canada to 10,000 youths in the US criminal justice system, with most serving populations of 1,000 people or less. Durations range from 20 to 120 months, with most lasting three to five years. Overseas bonds are now evolving in to larger scale “outcomes funds”, where project-by-project funding is replaced with adaptive, thematic or place-based programmatic funding with multiple funders and recipients. In Australia, New South Wales was the first state government to back social benefit bonds, as they are known in Australia. Two were launched in 2013 – one to support safe families for children at risk of going into care (the NEWPIN bond) and another to divert children from out of home care (the Benevolent Society bond). It now has three bonds, with another aiming to improve the well-being of people experiencing a mental health illness. It also has two pay-for-performance social impact investments – one aimed at reducing parolee reoffending and another for enhanced palliative care to patients in western Sydney. It is also due to launch another bond once an accommodation facility is built for vulnerable 18 to 22 year olds who have exited out-of-home care. The Queensland government is undertaking a pilot program of three bonds including the first Indigenous-focused one, one for 10 to 16 year olds with high to very high risk of reoffending and one for 15 to 25 year olds at risk of homelessness. The Victorian government announced its second bond in February to help young people as they transition from care to independent living, with the first bond targeting the chronically homeless. Social Ventures Australia announced in March 2017 that it had raised $9 million to fund South Australia’s first bond on homelessness in Adelaide. Shared value is where social outcomes at the core of a businesses’ competitiveness are seen to provide greater opportunity for the private sector generally to engage with social issues. Many large corporations such as HP, Nestlé, GE, Alcoa, Adidas, BMW, Heinz, GlaxoSmithKline, and Novartis are embracing this new approach. For example, pharmaceutical and medical device companies have reconfigured products to make them cheaper and more accessible in emerging markets. They also build local research and development and local supply chains/sales channels to further reduce cost, in conjunction with strengthening local health systems and education/behaviour change campaigns to support new product rollouts. These have reportedly been very successful approaches with pharmaceutical company Novo Nordisk, for example, said to have saved an estimated 140,000 life years over 20 years in the Chinese market, through improved diabetes treatment products, physician training and patient education. The Bendigo Community Bank model is the archetypal example of shared value creation in Australia with more than 300 branches established since 1993 and more than $180 million returned to local community groups. Macarthur Real Estate Engagement Project – a collaboration between real estate agents and the Western Sydney Community Forum to reduce the cost of evictions to agents by supporting tenants at risk of eviction. Essentials by AAI – low cost insurance for low income earners to cover their key household assets, with premiums starting as low as $4 per week, low excesses and an illustrated product disclosure statement. Insurance Australia Group – promoting safety in the home, businesses and on the road to reduce claims. AIA Vitality – a health and wellness rewards program to decrease insurance claims associated with chronic disease such as obesity and diabetes. As part of the social investing phenomenon, there has been an explosion of social enterprises. A 2016 report by the social enterprise development organisation Social Traders and the Centre for Social Impact at Swinburne University estimated 20,000 social enterprises operating across all Australian industry sectors. Social Traders itself facilitated $20 million in sales for social enterprises with business and government buyers last year. By 2021 it expects to facilitate $105 million and it launched a social enterprise certification scheme in April 2018. Another recent development is the advent of certified B Corporations – so-called “benefit corporations” that are for-profit businesses with social and/or environmental outcomes as part of their mission. According to certification body B Lab Australia and New Zealand, there are 2,504 B Corporations in more than 50 Countries across 130 Industries. B Lab Australia and New Zealand was founded in 2013 with only 12 B Corps and has grown to more than 200 B Corps, ranging from solo entrepreneurs to large, ASX listed companies. Next week, part two of the series will look at what the social investing risks are for not-for-profit organisations. About this author: Kyrn Stevens completed a thesis on social investing for his Executive Masters of Business Administration at the University of Wollongong’s Sydney Business School. 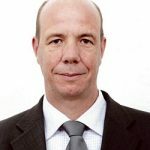 He is a senior corporate affairs and marketing professional who has worked in legal services, for a federal regulatory authority, as well as for Australian Red Cross and in Indigenous health. He is also a non-executive director of the Fairy Meadow Community Bank Branch of Bendigo Bank. Kyrn Stevens is a senior corporate affairs and marketing professional who completed a thesis on social investing for his Executive Masters of Business Administration.